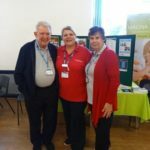 On Monday September 24th Lincolnshire Cardiac Rehabilitation Services had their open event at Burgh Le Marsh. 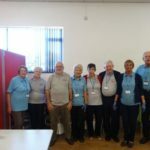 It was to showcase their new equipment that had been bought thanks to more than £12000 of fundraising and charitable donations over the last year. Many organisations were there to give their support including the Heart Support Group. On the afternoon the cardiac team were presented with a further £1800 from Martin Brown from Natterjack Creations and Jan Erik Brenner from Mr Fipps Wonder Circus and the Heart Support Group were presented with £500.